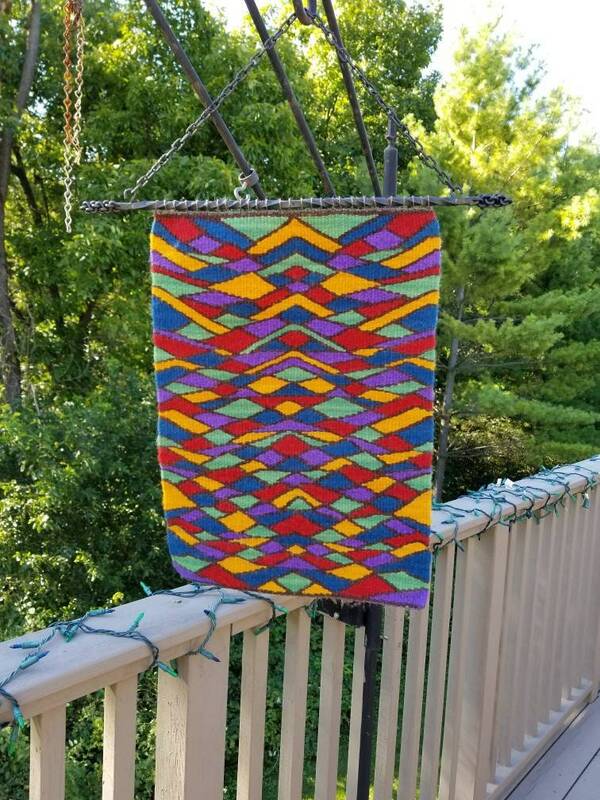 This handwoven original design tapestry is my impression of a stained glass window. It is woven using hand dyed churro wool. This piece has been exhibited at Weaving Southwest in Taos, New Mexico. It is 23.5 inches long (without hanger) and 16.25 inches wide. The hanger is handmade by Black Bear Forge. It is wrought iron and is included with the piece.